No images of Technaus Solar Installations. Technaus Solar is a national family owned business founded in 2007. Our shareholders and key staff come from engineering, installation and customer service backgrounds, allowing us to provide high end services to all our clients. We have installed over 15000 solar power systems ranging from 1 - 100kw's. No job is to big, small or complex for our professional staff. Technaus Pty Ltd has avoided to provide me its written guarantees for workmanship with terms and conditions. Technaus Solar is a member of Clean Energy Council, but it also fails to provide required documentations as printed on page 17 of Guide to installing solar for household, published by that council. The salesman, Steve Gunton, knew his stuff. The installation team from Ramselec knew their stuff. Finished in one day. The inspector found an issue with the cutout voltage of the solaredge inverter. Technaus's Vig Menon stepped in and got solaredge to lift the cutout voltage. He also managed to get the comms working. This left a very satisfied customer. Now waiting on Ausnet to connect us to the grid. A good experience thanks to Tim Finns book and quote system. All quotes were comparable with a good level of equipment, so best price was chosen. Communication with the company was good and installation happened very quickly after committing to install. Install was done as requested and was done neatly with no fuss. Thanks for your feedback Aki, we are glad you are pleased with our service. Sales person came out for an onsite visit and was very knowledgable and gave great advise with a few different options. Overall the system was a good balance between value and quality. After paying deposit was told installation date would be organised in January, however had to chase them up to have install date confirmed. When I contacted them, got an install date very soon but had to be postponed due to weather. Panels seem to be working well, took about 3 weeks for paper work documentation to come through for the electricity provider to get feed in tariff. Overall, it was a good experience, communication about expected time frames could have been better. Honest salesman (Brett), great and fast service at the CHEAPEST price of all my 5 quotes. I had the best experience with this company, once I accepted their quote it was all done in less than 2 weeks. For the actual installation day 3 guys came by 7:30am and were done by 11:30am. Firstly prior to engaging Technaus Solar I spoke to 4 to 5 suppliers of Solar and was given conflicting information form incorrect information to sign today and we can install tomorrow. From the initial consultation with Technaus Solar I was offered a no pressure sales pitch. The information I was given was to the point unlike the others. Once I paid the deposit, the communication from the sales and installation team was second to none. Everything was on time without a hitch. Installation team arrive on time and very efficient. Once installed follow up from the sales team was fantastic. System has been installed several days cannot be happier. 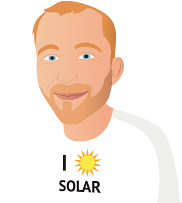 My experience was faultless I would highly recommend Technaus Solar and would be happy to speak to anyone. Technaus solar offered a good price. Fast install. Listened to what I wanted and lived up to there word. Steve was very helpful and patient with all of our questions and the installers were friendly and efficient. Thanks for your positive feedback. It was a pleasure doing business with you, and I'm glad you were happy with our service from beginning to end. If we can be of any further assistance in the future, please let us know. Thanks for the great review Nik, it's always good to get positive feedback. It took over 2 months from quote to installation. Firstly they said the quoted panels were not available, would I be happy with a substitute (I said yes). Secondly they said they no longer had the quoted inverter in stock because it had been installed in error on another job and that it would take some time to get a replacement. I was quoted for north facing and west facing panels, but when the installer came he said there was not enough west facing roof to do the job, would I be happy with some east and some west? I said okay. In the end none were installed on the west so by 5pm I'm no longer generating a usable amount of power, even though sunset is not till after 7pm. I am quite unhappy about this. Also even though it took two and a half months to install the system the organisation insisted on payment the day of installation (a Friday). I did the bank transfer on the Sunday and by lunch on Monday I received a call chasing payment. I explained I had paid and the man seemed happy. An hour later I received another call chasing my payment, this time a woman was pushing quite hard for me to say I was happy so she could close off the job. Not at all impressed by this. Further I don't recall the organisation ringing me back any time they said they would, I always had to chase them. A couple of delays about taking an old water heater off the roof but once Technaus had changed installers, all done with minimal fuss. My experience was ok, I dealt with the Technaus group in Victoria. What I've found is there's quite a big disconnect between the sales team and then the contractors they get in to do the work. I found Steve from sales excellent. He was prompt, throughly looked at the installation job, made great suggestions and took the time to explain everything to me. This was very different to the service I had on the day, the contractors were from a group called "Ramselec". Whilst they were nice enough people, their prime goal is to get the installation done as quickly as possible on the day. I've had a lot of work done to my house and am very used to the people who come to do the quote doing the work (or at least overseeing it), my experience with Technaus was very different and I assume it's because they're so busy now because of the rebates and they're adding more teams of contractors. Vig the installation manager was a lovely chap who popped out during the installation and called me on the day before, but he's clearly so busy now I didn't really get any chance to ask questions and any brief conversation I had with him was rushed. 1. Steve mentioned the inverter could be put in the garage, I was told on the day this was not possible because they would have to drill through a wall!?!? I really wasn't impressed with this at all and really regret not just cancelling the whole job on the day and sending the contractors home. The inverter is now outside next to my meter box. 4. The contractors Ramselec only lodged their job with Citipower today (12th Feb) for my meter to be converted. This means I'll probably have to wait another month for Citipower to come out and convert my meter so I can get my feed in tariff. 5. The only regular contact I got afterwards was a daily request for me to pay my bill (I paid 5 days post installation) and two (polite) texts from Vig asking for payment. Payment requests seem to have been the only active communication I've received from Technaus. Overall, I think Technaus were probably once a fantastic company with great core people. But in my opinion have now grown too rapidly and employed additional contractors because of the amount of work they're currently getting with the Victorian rebates. I feel this has dissolved the customer experience. I wouldn't go as far as to not recommend Technaus, however I would advise future customers get 3-4 quotes from different places and ask for a site visit from someone who'll actually be part of the installation team before they commit to buy. Thanks for your feedback and for giving your overall experience with Technaus a 3 1/2 star rating, despite the fact that there were some issues with your install. We have indeed had some problems with one of the new contractors we recently took on due to large workload and have used your feedback to reasses things and scale back to our tried and tested installers. It is a constant balancing act from our perspective - between ensuring our lead time from order to install is as short as possible for our customers - and making sure all who we engage operate to the standard we require . In regard to the specific issues you raise, our service department will be in touch regarding realigning your panels with the view to improving the aesthetics. The inverter will need to stay beside your meter, and I apologise that it was not possible to get it into the undercroft garage on the day. If you recall at our initial consult my first reccomendation was to put it next to the meter where it ended up. We did spend some time looking in and under the house, and I did indeed inform you that I was confident we could get it there, but I also advised that all locations are subject to the installers inspection just prior to install. My apologies that it was not able to go in your ideal location. In regard to solar vic and energy network provider forms etc. please understand that there are many more moving parts than just our company involved here. We have protocols in place to assess all documents we recieve from utility providers / network providers and solar vic on a daily basis. Frequently information is not sent to is in a timely manner (e.g inspection paperwork coming to us 3 weeks after inspection). While we do our best to ensure everything is collated and sent on to our customers ASAP we are often hamstrung and obviously cannot forward documents we have not yet recieved. While I understand your frustration on this point, having investigated thoroughly I don't think there's anything that could have been done at our end to expediate the process for you. Once again thanks for your honest feedback, this is appreciated, and if you have any further concerns please feel free to contact me directly. Install average..cracked roof tile and leak. Had to return to fix a number of compliance issues and make adjustments to inverter. Lack of staff training and empowerment. I have given Technaus fantastic for customer service however I seem to have got them at a bad time and my original appointment was changed then there was a no show. The problem was with the original panels that I had chosen which they had not been able to get hold of, possibly being let down by their suppliers. However this should have been communicated to me. They offered me an alternative at the same price and scheduled the install within the week. The installers were great when they did turn up, and very conscientious and tidy. As a layman I can only judge on the results that I am seeing which have so far been excellent, around 40kw per day in Perth with an optimised system due to shading issues and a Solaredge inverter. I try to judge a company not so much on their ability to make mistakes but more so on their ability to fix their mistakes. Technaus came through after the initial blip, they were very professional, courteous and I have a system that so far exceeds my expectations. Sal and crew carried themselves in a professional manner and worked tirelessly in mid 30's temp. Highly recommended! The guys turned up early, were very prepared and began working almost immediately. They finished quickly and I was very impressed with the workmanship. My neighbor used same company and was very pleased with them. I was impressed when speaking with them however they put the cost up by almost double from what my neighbors within 4 months so was a little disappointed with that. I haven't yet used the system as I'm overseas so it will be next month before I know how it is working. Thank you for your business and your feedback, we are glad that your overall experience with us was positive. I've had a quick look at our records and your neighbour did indeed get a very good price from us, as they took advantage of a special we ran mid year. However it should be noted that they decided to purchase a system with an entry level inverter, as opposed to your system which included a premium Fronius inverter. The cost difference on this piece of equipment is $900 so when this is factored in your system was just a few hundred dollars more. We endeavour to give the best price we can at the time for all our clients, and stock a range of equipment for all budgets - I'm sure that the high quality system you have purchased will be well worth it in the long run. After getting quotes from 3 other suppliers, I find Technaus price to be competitive. Jason did a great deal of explaining to me questions that I have in mind. Vig also did the scheduling quite well despite issues with Melbourne weather they were able to install it 2 days and got it up an running. I also look at the track record of the company seems to be quite good. They also got back to me within 24 hrs if I am not able to talk to them right away. I have yet to see the beneft against my billing, hopefully when it comes up next quarter I will see how much I saved, but when I did check aus net usage seems to be it is working, never had an fluctuation in power so far. I highly recommend them to provide your solar needs. Power production range since I had it installed is 16-45kw (depending if it is overcast / sunny day). Thanks for your great review and for recommending us as a company. We endeavour to provide a high level of customer service, so it is always good to get positive feedback like you have provided - it lets us know we are on the right track. Bit of a long road to get there but installation was very well done and sales staff were very good. One false start and some miscommunications around reasons for delays did cause a bit of frustration but that aside I am very pleased with the final result. The team of installers were very efficient and very willing to provide answers to any questions we had about the installation process and the system itself. It's hard to evaluate fairly given that the system was only installed last Friday and hasn't yet been checked and approved by our electricity provider.... would be better to do this after 3 - 6 months. Since September, 2018, after researching some basic knowledge of solar system I shopped around to find a trustworthy company for a solar system. Most of them just tried to sale without appropriately giving and/or explaining the complexities of solar products. And configurations. I nearly lost my interest to get the system. By chance, I found TechnAus in Melbourne and discussed with Jason, a sale manager. I was impressed with his diligent & professional attitudes and took his offer. During the process of waiting for installation, TechnAus regularly informed me when the system would be installed by Sonia & Vignesh (technician manger). Prior to a day of the installation, Vignesh came to my house to inspect my roof. After following day of the installation, Sonia phoned me to check if I had any problem and/or was pleased with installation boys worked. So far so good. WELL DONE. I hope TechnAus would not let me down, if something went wrong with the system. I will keep update, if necessary. Very detailed quote, which was great I knew exactly what I was getting. I chose Technaus in October as they advised they could install in 3 weeks and could do a spread system (1kw facing east, 2kw west) with one 3kw inverter- i specifically asked to confirm that would work as the competitor advised the east panels wouldn't produce enough power for this type of inverter to function. After paying deposit and 3 weeks of me calling them for an installation date, in mid Nov they scheduled for 5 weeks time, 14 Dec. Then during that period I was called and told the 3 kw inverter couldn't work after all and I'd have to buy a 4kw one, which I agreed to. Rain was forecast 14 Dec and so installation was postponed, but I was advised it would be definitely installed prior to Christmas. They called last night to say there was rain forecast late this week - after a fine week there is a 60% chance of a few showers < 5 mm, coincidentally the last days leading up to Christmas - and I would have to wait till they reopen in mid Jan. This was the final straw so I asked to cancel my installation and was told I will get back to you. They didn't. Given the confusions and excuses I have experienced these last 3 months, at this time I have no faith I will ever see either my panels or my deposit. I believe since you posted your review your system has been installed and you our now a happy customer. Apologies that it was a long road to get there and we acknowledge that there were some issues along the way - some of which were in our control and others not (e.g the bad weather in late Dec). Thanks for sticking with us - we're sure your system will give you many years of savings, and the wait to have it installed will be worth it over the long term. I have chosen Technaus Solar Company because they are not new players to the solar market. 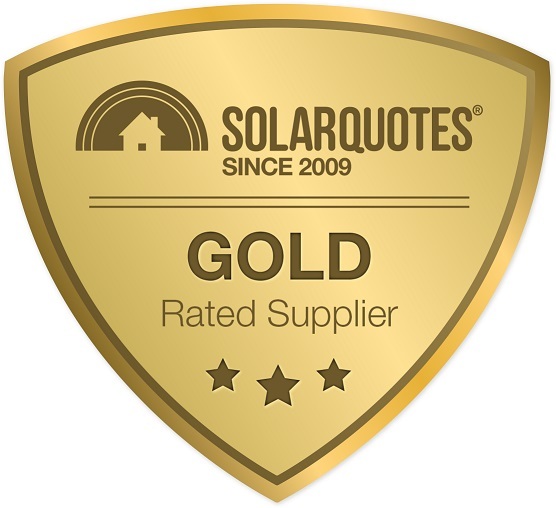 I was quoted higher price compare to the other solar providers but still decided to go with them because Sales person (Steve Gunton) was knowledgeable and explained everything in detail before I accepting the proposal. Since then I was dealing with Vignesh Menon and his customer service is exceptional. He answered all my queries without any delay, went out of his way to help me with my concerns which is remarkable. I have no hesitation to recommend this company for any potential solar buyers. Absolutely terrific to hear of your experience with us. We strive for every interaction to be just like yours, and are always looking for ways to improve our services. Thankyou for your kind words, and from all of us here at Technaus, have a very merry Christmas and happy NY. Sales were really helpful. Communication past that point was not great. Installation didn't happen until we followed it up over a month later after being told we would be told next week. Great to hear the install went well, and everything is up and running well. Our operations manager who spoke to you post install tells us it went smoothly on the day. On the communication pre install, this time of the year things are pretty hectic and our apologies you didn't find that side so forthcoming. We are always looking to improve our services, customer service and everything inbetween, and appreciate the feedback. Wishing you well on your savings, and very merry Christmas and NY. Appreciate you taking the time to review, and points taken on board. In actual fact all the panels as quoted could physically fit and be fixed, but in doing so our installers felt on the day that it would risk cracking the ridge capping, for the extra few panels to be fitted, which causes other headaches in and of itself, so it was touch and go to be fair. Your house having very old terracotta tiles, and old brittle ridge capping means we had to be extra careful, and our installers took an executive decision on the day, for the best interest of the house and individual. I hope you can appreciate that. We also gave you an upgrade on your panel wattage, to boost performance, which I know you appreciated, and job was completed on time. Fantastic to hear you were happy with the result. Thank you for doing business with. All the best for Christmas and the NY. Any time you should so need us for anything at all, drop us a line, more than happy to help. I was happy with the experience, and got quotes from the three companies that you offered. TechnAus were the most engaged in the sale , explained their products well and gave the best price quote. Their service between sale and installation was minimal (I didn't hear from them for two weeks after paying the 10% deposit, then was told on Friday they're coming on Monday morning). Their installation was efficient and they have now given me all the paperwork to get my rebate from the state government. Welcome to the solar club, and wishing you well for the holiday season, and NY. Cheers for the review, and it was a pleasure dealing with you. All the best with the savings, and wishing you well for Xmas and the NY. Get in touch if you need us at any point in the future. Salesman was great with information and the quote. Gave heaps of information. Run down of the steps involved and what Technaus would cover was thorough. The fellas installing were great, efficient, quick and professional. Only hassle is the aftersales support. Had trouble connecting Invertor to my WiFi and haven't had a reply to questions I emailed. Also haven't been sent a receipt for payment, yet. Thanks for the feedback, and great to hear the overall experience has been positive for you. Appreciate the kind feeback. Really stoked to hear your overall experience was a positive one.